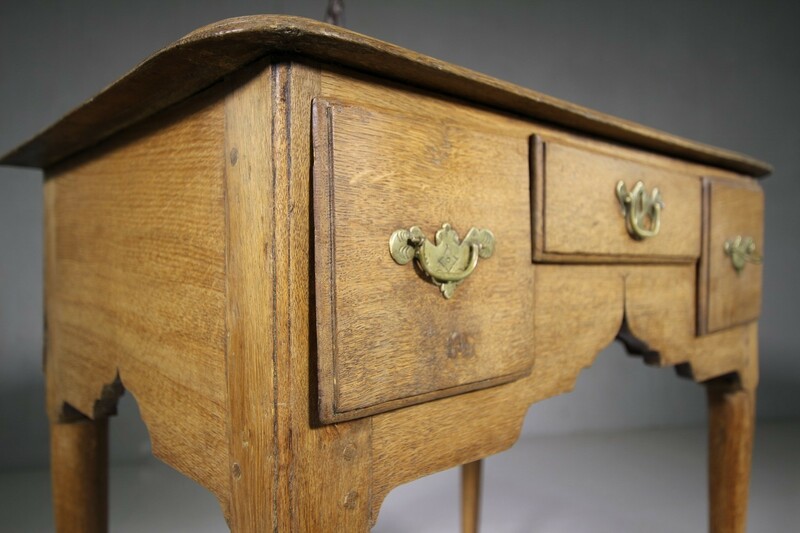 This is a lovely, English pale oak antique low boy table that dates from the Georgian period around 1780. 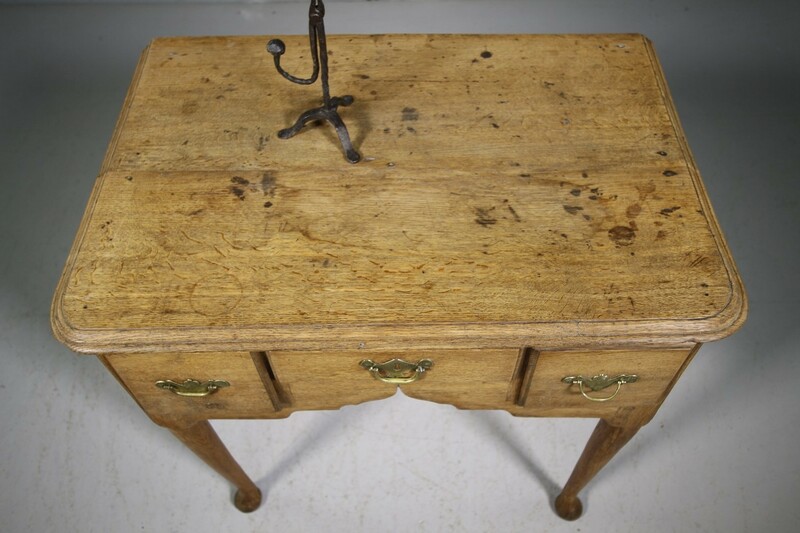 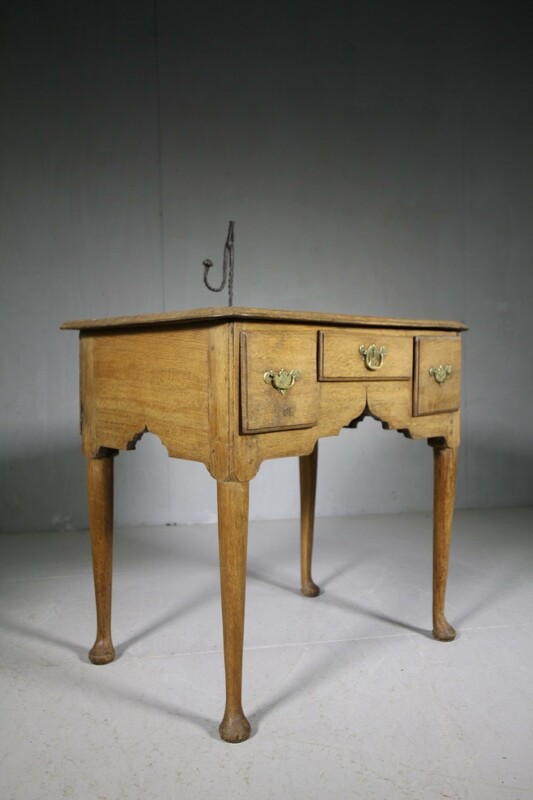 The period oak antique table features cabriole legs with three drawers, all having the correct, period brass ware handles and beneath the drawers is a well shaped apron. 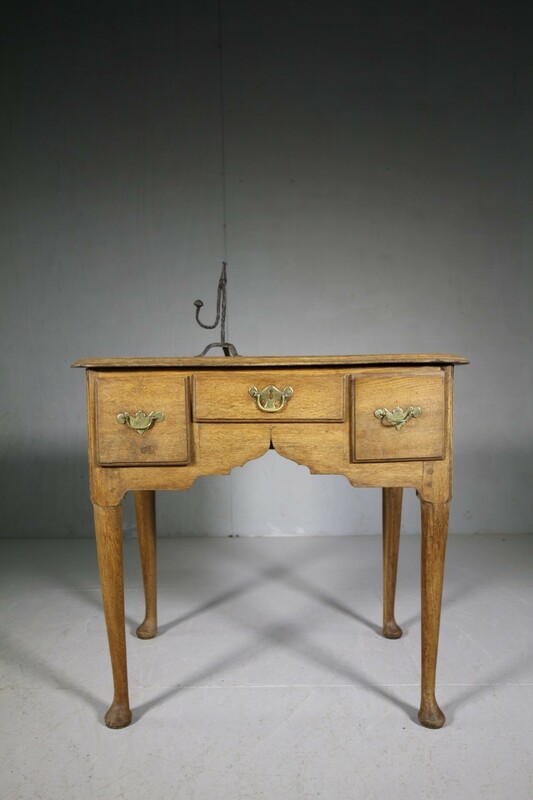 In very good, original and solid condition and the low boy has a pale, scrubbed natural finish.